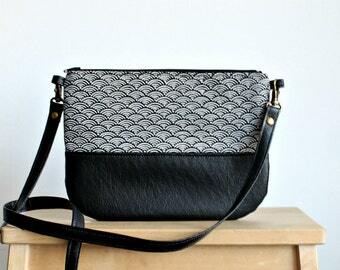 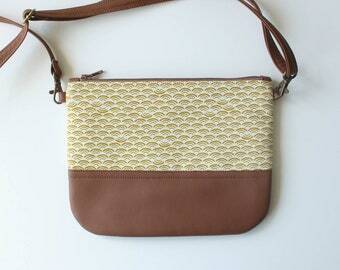 Lovely Little Modern Crossbody leather and fabric bag, great for every day use. 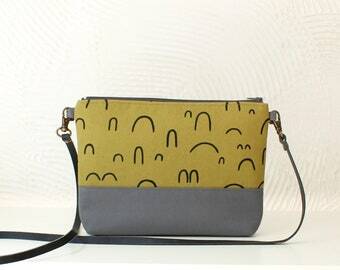 It will fit your most essential things inside such as phone, keys, wallet... 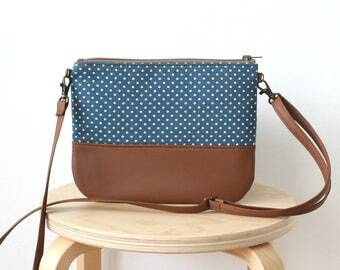 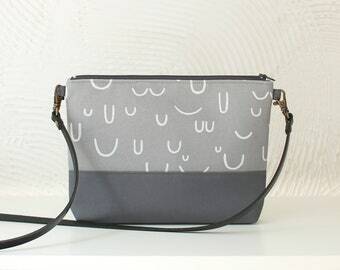 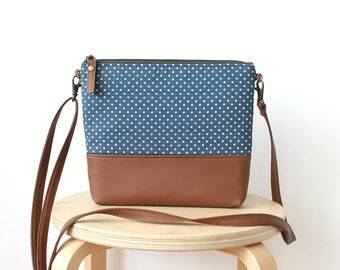 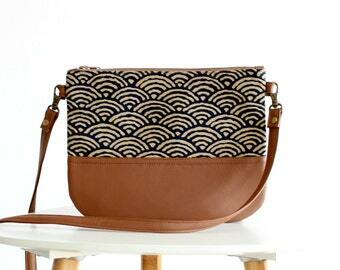 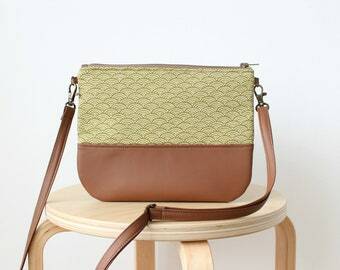 The strap is detachable, so you can also use it as a clutch if you prefer to. 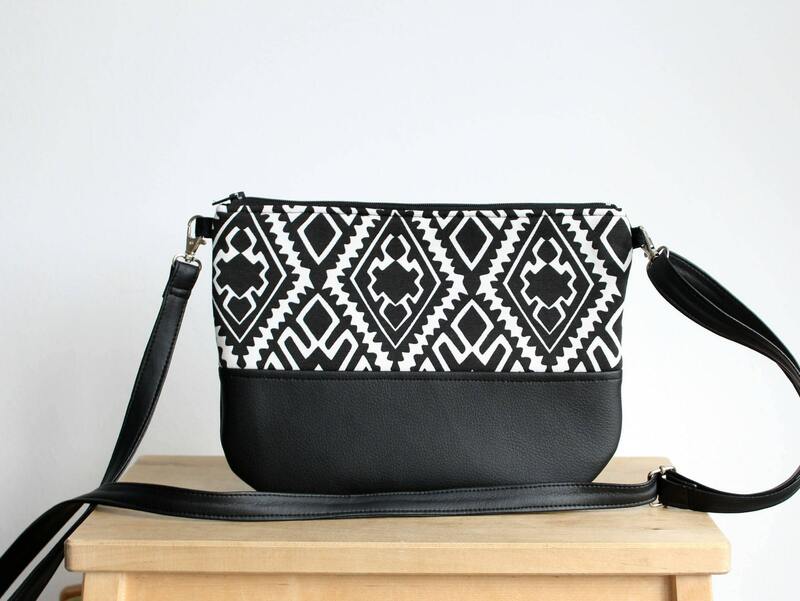 Materials: The top part is made with Cotton fabric in black and white aztec geometric print , the bottom part and the strap are made with high quality vegan leather in black. 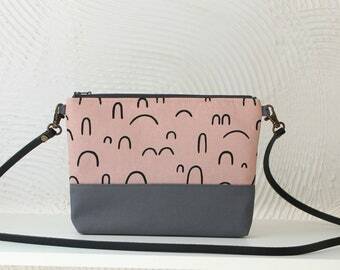 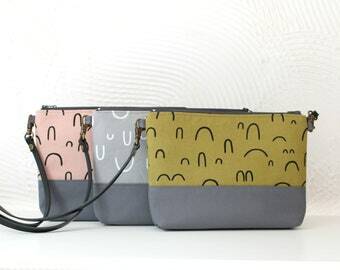 The lining is cotton fabric and it has a pocket for cell phone, keys or other smaller things.